Buenos Aires Tetra is a hardy schooling fish suitable for beginners. It is recommended to keep them as a large group in a moderately big aquarium , because of their fin nipping behavior. 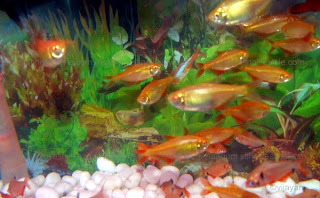 And do not put them in heavily planted aquarium / Tanks, they will nip and eat most of the plants. Peaceful. But sometimes show aggression[fin nippier] toward small fish and slow moving fish. 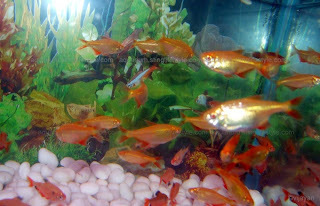 Easy, A group of fish with more females is enough. They start spawning readily.